To be fitted the same as on card. 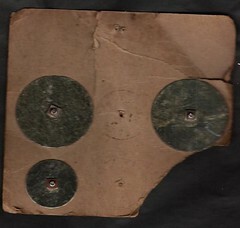 Back view of the nuts. Found on a boot fair in Frodsham. As useful as this looks there is no needle!! Front cover of the WHICH? 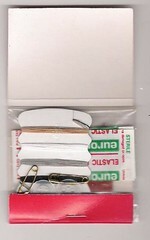 Travel Kit. 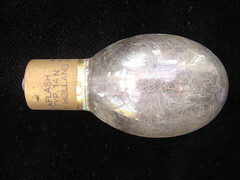 flash bulb found at Verdin Park boot sale in Northwich. 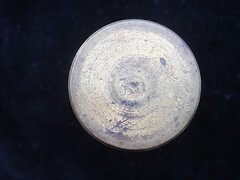 From a collection of objects from an old dark room. The bulb is full of very hairy filaments. End of the light bulb. 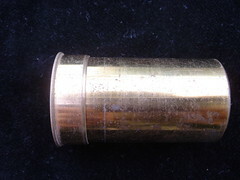 A heavy brass container that I pressume once contained a lense for photography as it was in a box full of old stuff from a darkroom. 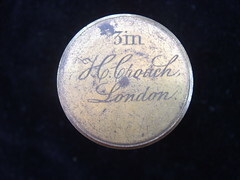 it has 3m stamped on it. 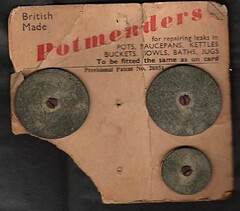 These washers are off our old gate to the back garden. Since it was dismantled (fell apart) 2 years ago they have been waiting on the window sill to be noticed. N.B traces of green paint from the gate. 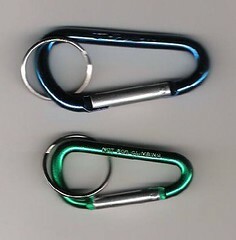 A couple of modern brightly coloured aluminium key holders that look like the hooks climbers use..but stamped every one of them is. Opened up pencil to show the well engine turned mechanism. Found today at Anderton Boot Sale. A very heavy solid propelling pencil. A brand new retractable device from Stationary box. 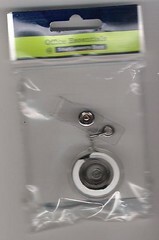 Back of the retractable thing and packet it came in. 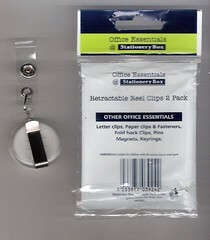 Letter clips & Fasteners, Fold back clips, Pins, Magnets, Keyrings. Demonstrating the string being pulled. 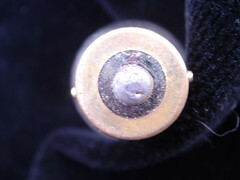 A tightly wound metal spring rewinds the string.